A new publication is available to help Southeastern US farmers deal with the Hessian fly, a devastating insect pest of wheat. 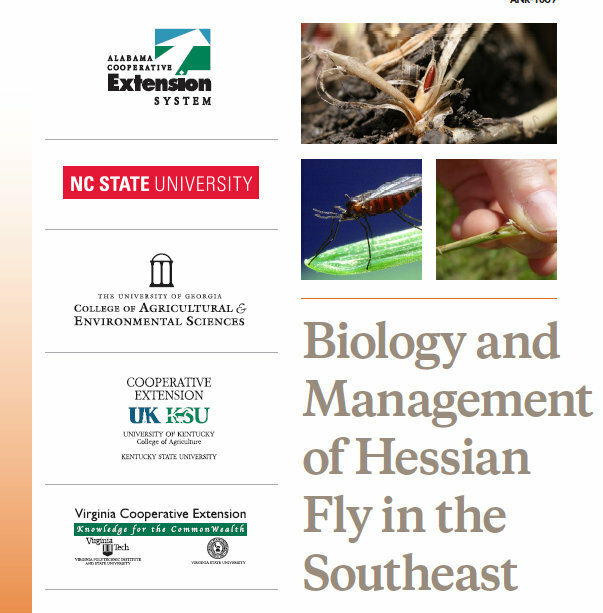 You can download the fact sheet “Biology and Managemnet of Hessian Fly in the Southeast” to learn how the Hessian fly damages wheat and how to control it. Click below for the direct link to the pdf. Entomologists from five Southeastern States (Alabama, North Carolina, Georgia, Virginia, and Kentucky) including our own Dr. David Buntin, UGA Extension entomologist, worked together to produce the fact sheet. 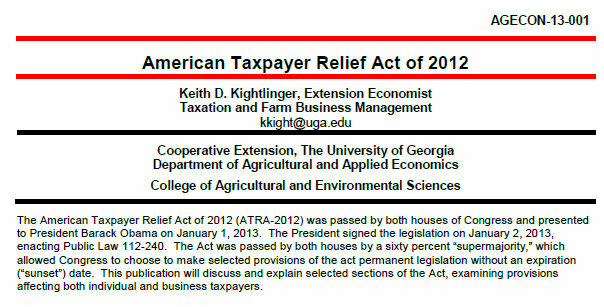 This publication is a bit different than the usual Extension fact sheet. Throughout the document you will find clickable links to a supporting website (www.aces.edu/HessianFly). On that site you can find state by state reports on Hessian fly resistant varieties, additional pictures of the insect and associated plant damage, and research data showing how various agronomic practices affect the risk from Hessian fly. 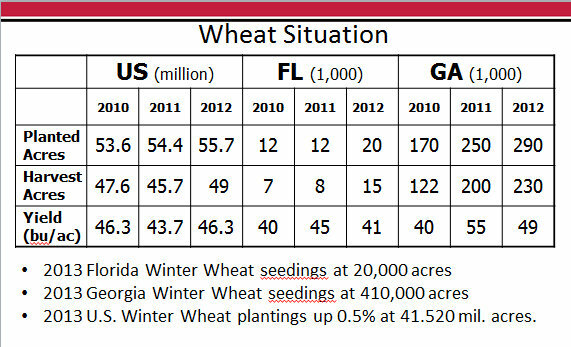 Results of various insecticide trials are also included. 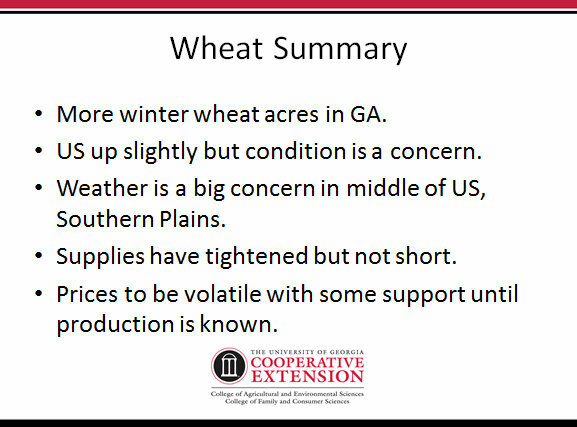 I went to the Ga/Fla Soybean and Small Grains Expo yesterday and there were several excellent talks and one of them was Wheat economics and outlook by Nathan Smith, UGA Extension Ag Economist. 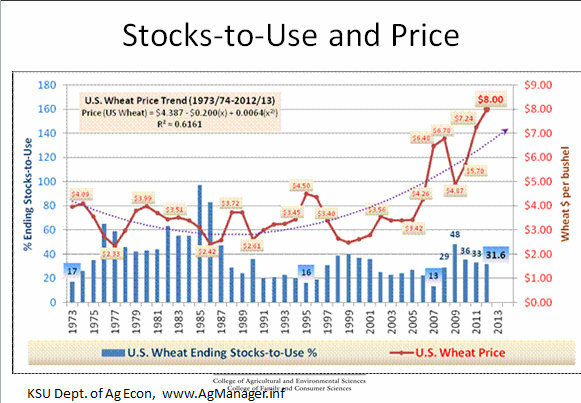 Here are some of his slides concerning wheat. 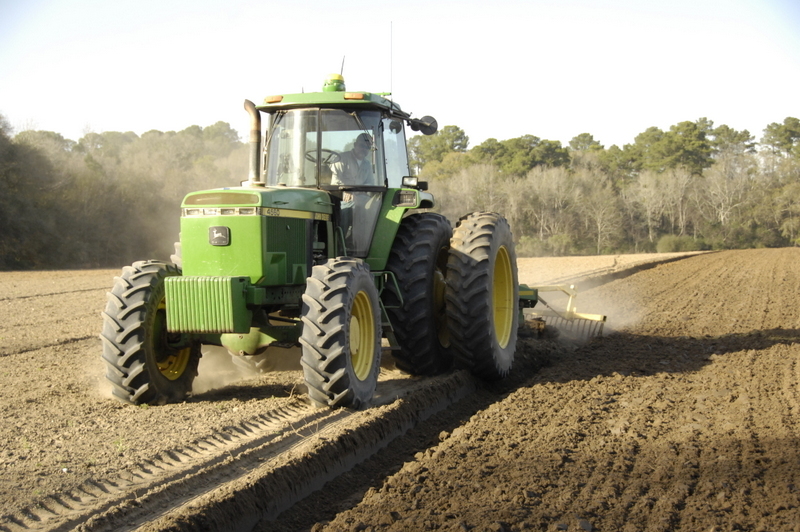 Some ground breaking or deep plowing is going on now in preparation for peanut planting although most farmers say they will reduce peanut acreage this year. There was pretty good moisture in this fallow field this week where land preparation was going on. 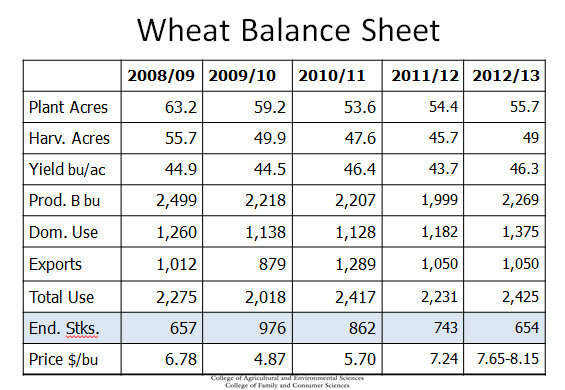 In fields where wheat and other small grains are growing the moisture level is decreasing noticeably. We need some more good rains for our groundwater situation. 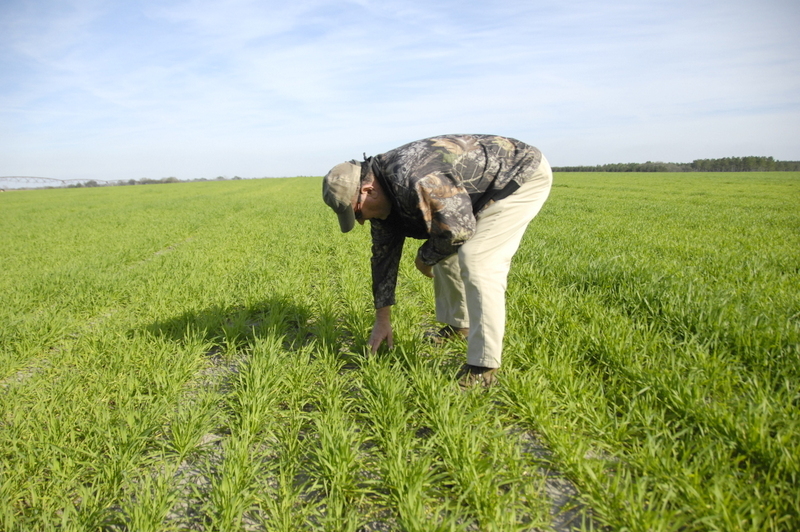 In other fields, folks are applying early herbicide sprays in future cotton fields where primrose and other hard to control species are found. There’s also applications of lime going out where needed. Wheat is looking good in deep Southwest Georgia. 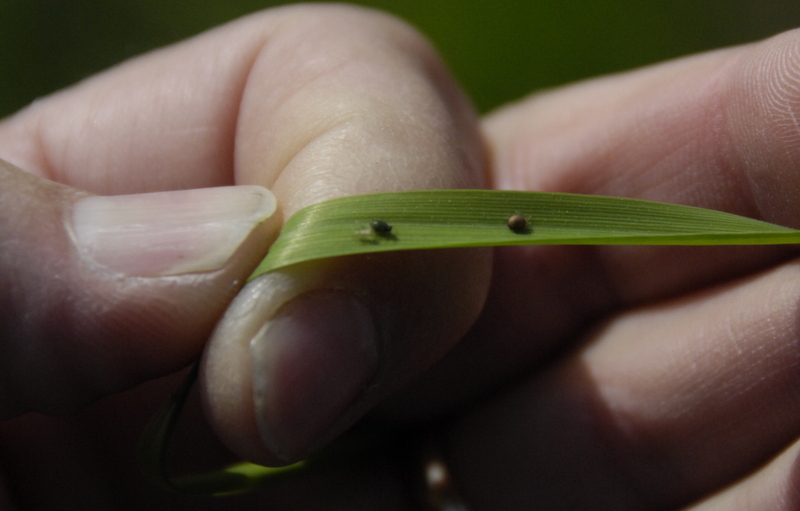 There are herbicide sprays going out and in some cases aphid sprays are included where needed. Some partial sidedressing is occuring as well. 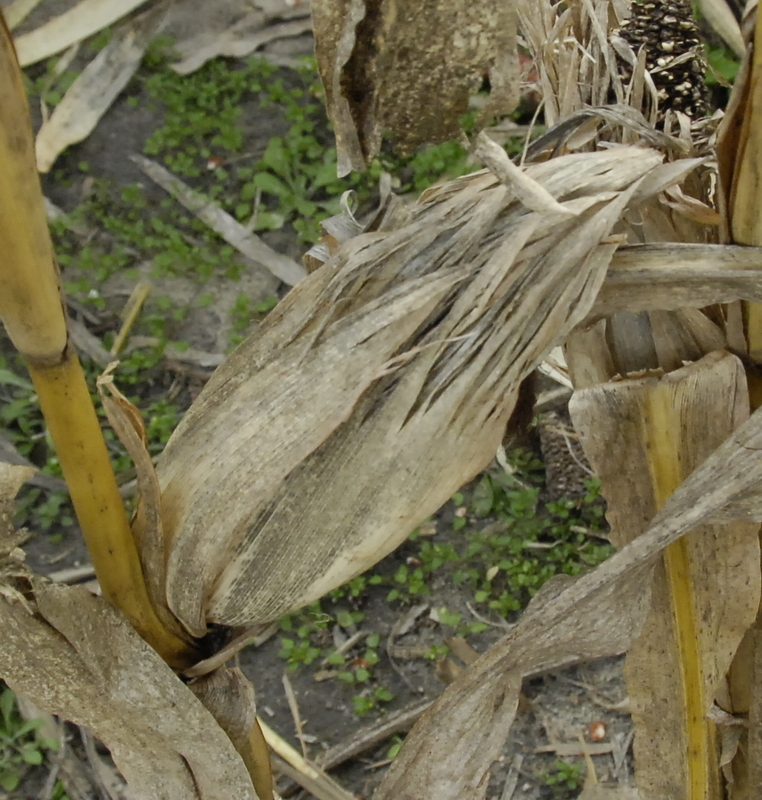 If tillering isn’t sufficient or there’s lots of yellowing on the older leaves, folks are putting out part of their sidedress now and will come back the second week of February with the rest. Bird cherry-oat aphids are fairly common but they aren’t in all fields so close checking is needed. 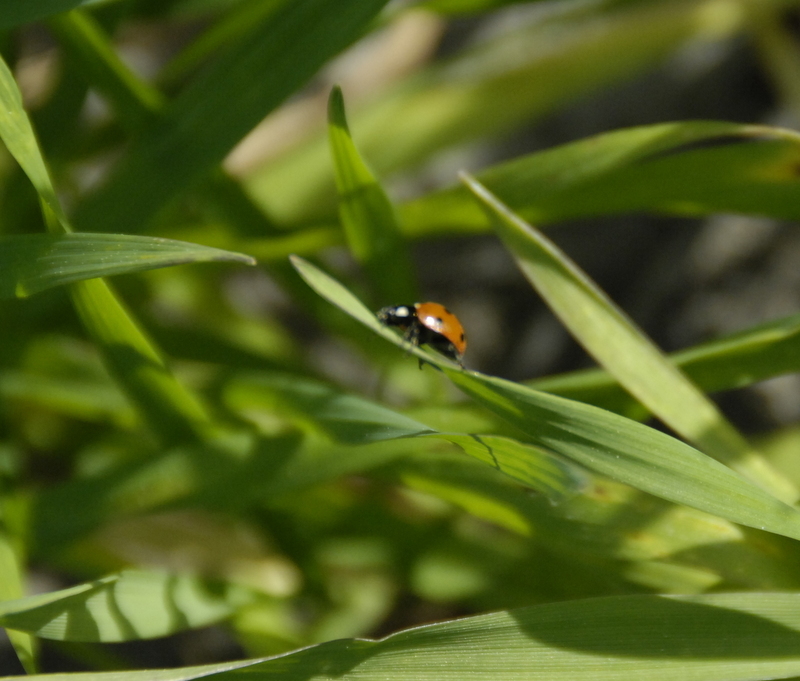 Predation by lady beetles is pretty good in some fields and parasitism is also good in spots. See below Wes Dozier as we were checking out his wheat that had fairly low aphid levels and he had parastism and predation going on so he wasn’t going to spray. 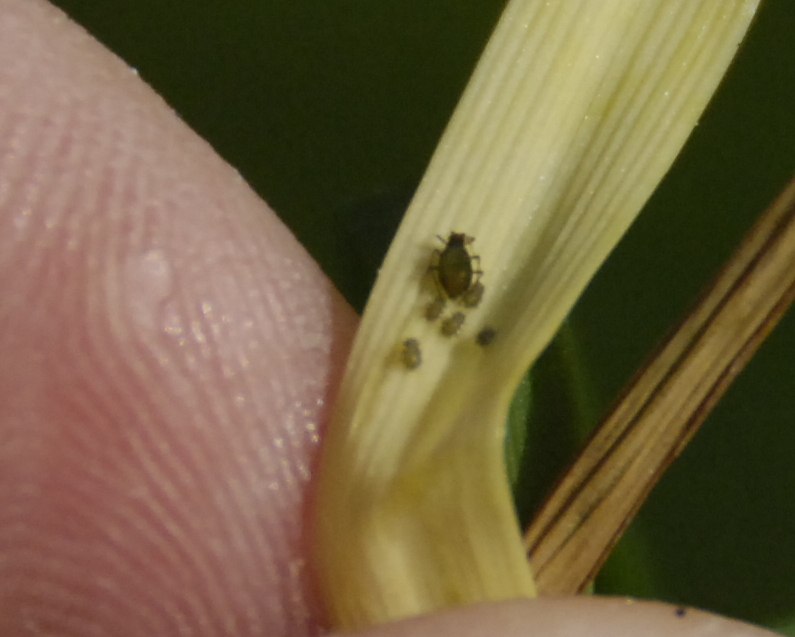 Bird cherry-oat aphid with her brood. Parasitized aphid on right, blown up looking and almost coppery colored. Healthy aphid on left. Lady Beetle feeding on aphids. I was in the field a couple of weeks ago, Jan 10th, to be exact when the 2nd crop of corn was being harvested off of Brandy Trawick Road. 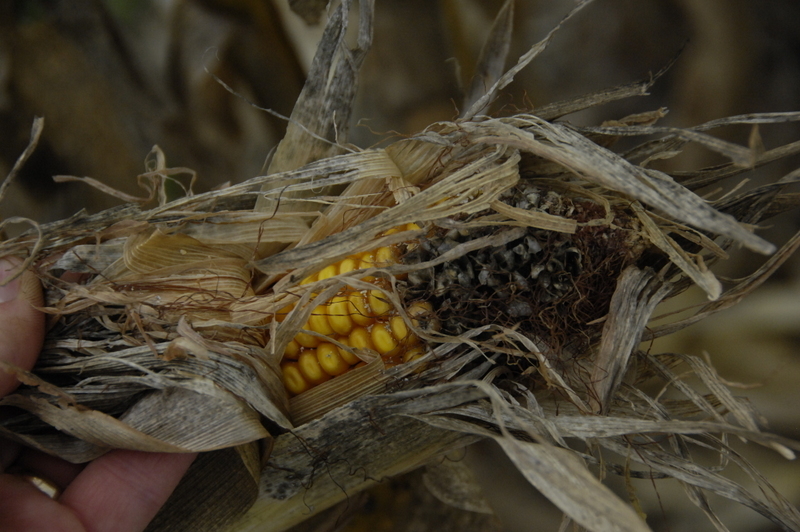 The grower noted that the fall crop went pretty well but increased attention had to go to disease control and there was an area that had nematode problems. Also, blackbirds caused some direct ear feeding damage in parts of the fields. 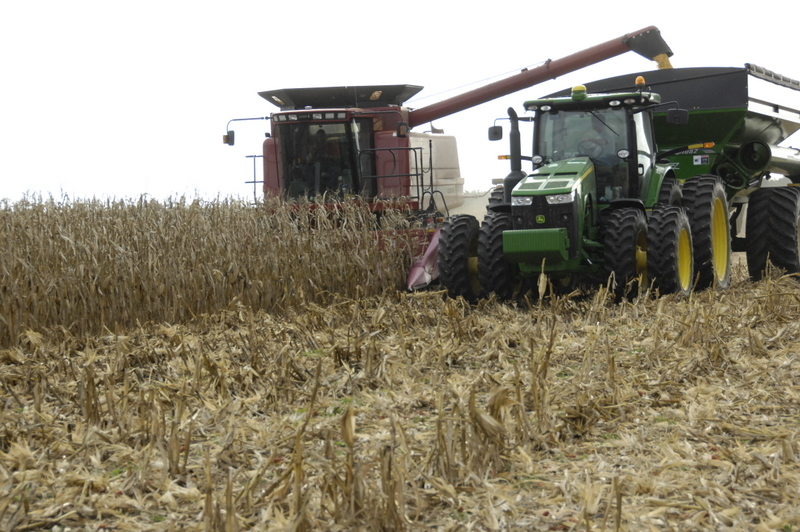 The harvest was going pretty well with the yield being about 100 bushels per acre per acre. Here are some photos I took on that day. 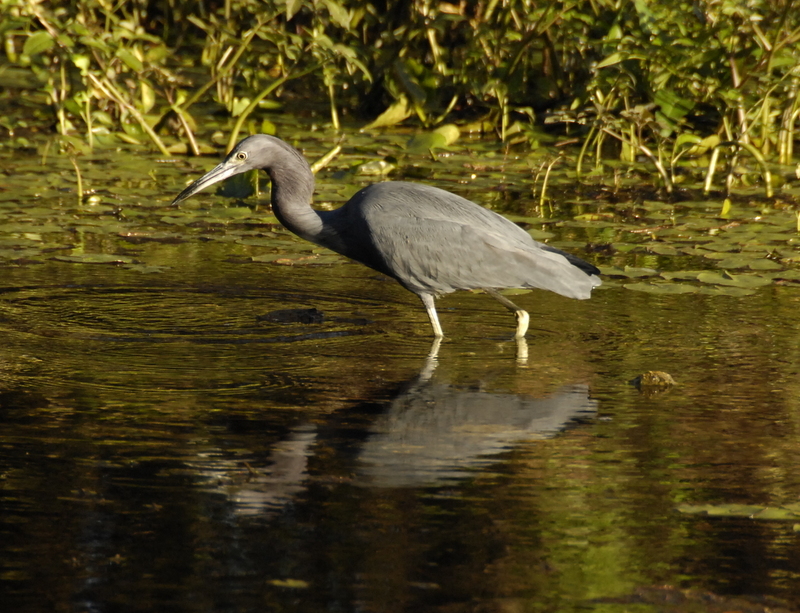 The bird I asked you to identify last week is the Little Blue Heron. I see them quite often in ponds and rivers. Here’s some more from Cornell University… A smallish heron of the southeastern United States, the Little Blue Heron breeds in various freshwater and estuarine habitats. It is the only heron species in which first-year birds and adults show dramatically different coloration: first-year birds are pure white, while adults are blue. 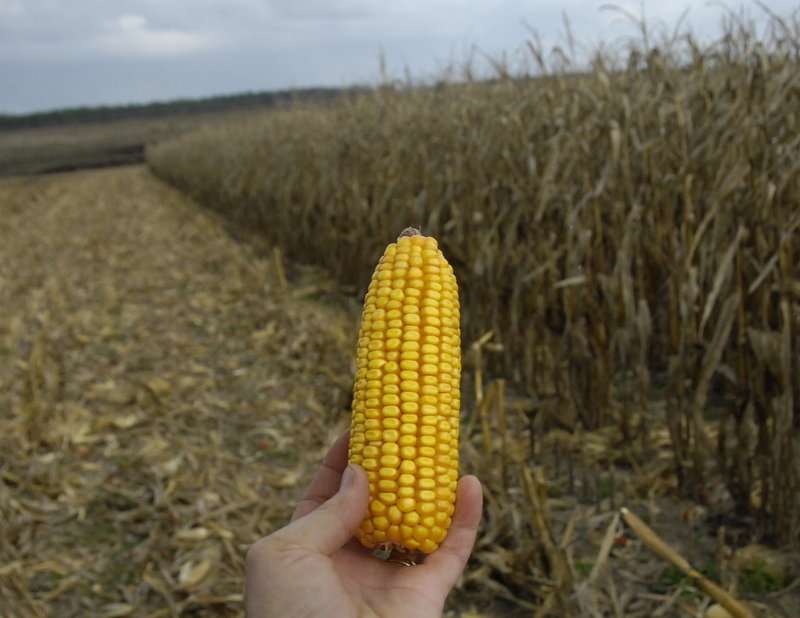 This week I have some corn photos I took on Jan 10th of some 2nd crop corn that was being harvested. My question is what caused the damage shown. Farm to Port: Maximizing the global impact of Georgia agriculture. 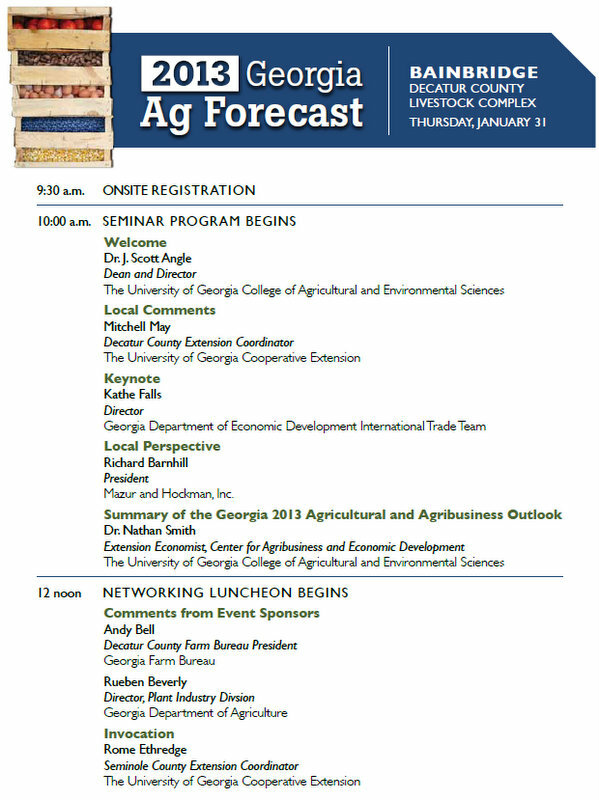 For more information about the local speakers and to register for this year’s Ag Forecast, visit http://georgiaagforecast.com.. 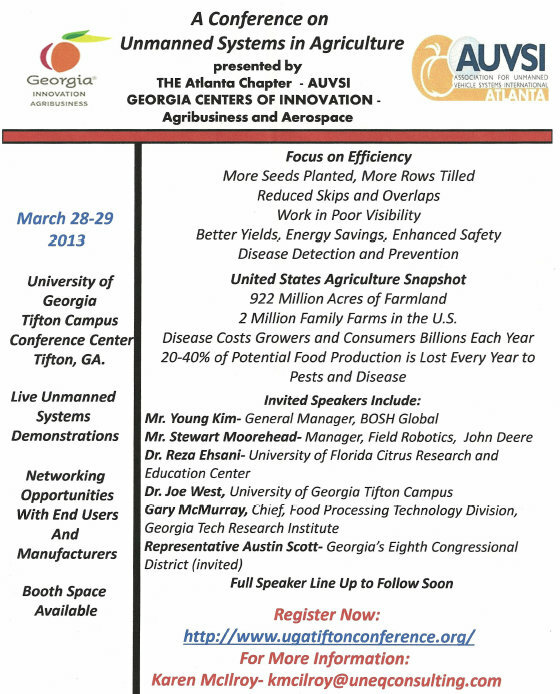 This year, in recognition of the growing importance of the global marketplace to Georgia farmers, Georgia Department of Economic Development Director of International Trade Kathe Falls will deliver the keynote talks at the 2013 Ag Forecast series. 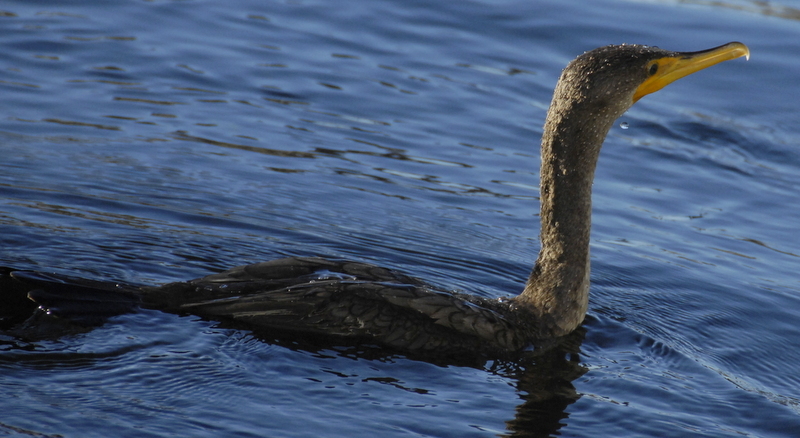 Last week I had a photo of a bird “swimming?” underwater and it was a Cormorant. Here it is right after it came up for air. There is a very similar bird that has a sharp bill not curved like this one, the Anhinga. Here’s a photo, below, of another bird and I want to know what it is, well, I want you to tell me what you think it is?